Members of the Norwegian Parliament (MPs) were not happy on Monday to read that their president and his secretary general have spent time and money hiring a special baker who can make French pastries for them and a machine that can emboss their business cards in gold. The small luxuries, among others, have emerged just as embattled President Olemic Thommessen is already under heavy criticism for hundreds of millions of budget overruns and failing to keep MPs informed about them. Just this year, he’s had to justify huge budget overruns on an ill-fated construction project for which his office assumed responsibility, and strong complaints from MPs that he defied their will in an evaluation of national security. 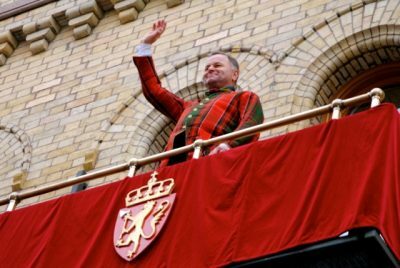 Last week he also was questioned over how he hosted dinners for royals and other dignitaries in his private home, and at which his violinist son performed, during last year’s Youth Olympics at Lillehammer. All the bills were sent to Norway’s national athletics federation. Now newspaper Dagens Næringsliv (DN) has reported that his Office of the President (Storingets Presidentskapet) has been busy trying to make it much more fancy. 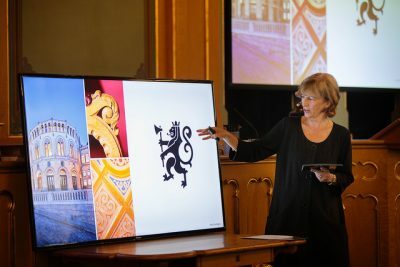 Thommessen and his secretary general, Ida Børresen, saw a need for a new “visual identity” for the Norwegian Parliament itself, and paid a design bureau NOK 2.4 million to develop one. They also paid for a “quality check” of the project. Since it ushered in the use of gold embossing on printed materials, they also paid NOK 1.6 million for a machine that could, for example, print MPs’ business cards and other other materials in gold letters. Meanwhile, DN could report that the number of “chiefs” at the Parliament has increased from 30 in 2010 to 38 now. The total number of employees at the Parliament has risen from 424 in 2008 to 495 and the Parliament’s operating budget has grown from NOK 736 million four years ago to NOK 905 million, up nearly 23 percent during the existing parliamentary period. It’s the hiring of a special baker (called a konditor in Norwegian) who can make French macaroons and other pastries to be served at receptions that’s caught the most criticism, along with the gold embossing. Marit Arnstad, a former government minister and parliamentary leader for the Center Party, and Michael Tetzschner, who, like Thommessen represents the Conservative Party, calls such use of taxpayers’ money part of a “bad culture” they fear has developed under Thommessen at the highest levels of the venerable institution. “It’s very important that the Parliament reflects Norwegian society, and not becomes the elite,” Fylkesnes added. Neither Thommessen nor Børresen would consent to interviews with DN, nor were they returning calls from other reporters on Monday. Børresen, however, wrote to DN that the president’s office is trying “to develop services” for the MPs, and make parliamentary operations more “efficient and professional.” She also stressed that the expenses made up a “very small” portion of the Parliament’s budget. She also pointed to good feedback in a survey of MPs this spring, who said they were pleased with the Parliament’s services. 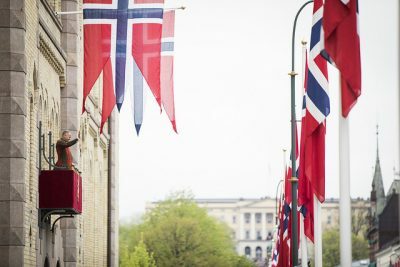 Things were “probably more informal earlier,” Børresen conceded, “and some MPs may think things have become more bureaucratic.” She noted, though, that the Parliament currently has imposed a hiring freeze and a 2.5 percent budget cut to boost efficiency.